Tuesday night the Boston Bruins squared off against the rival Toronto Maple Leafs in Game 7 of the National Hockey League’s first round playoffs. In an effort to help push the Bruins to victory, members of the Super Bowl champion Patriots voiced their support throughout the night. Things kicked off when Julian Edelman was named a Bruins fan banner captain before puck drop. Edelman wasn’t finished, he later chugged a beer while shown on the TD Garden jumbotron much to the delight of the fans. After the game, Bruins head coach Bruce Cassidy jokingly thanked Edelman for helping fire up the crowd. Throughout the tight contest, a few other Patriots tweeted out their Bruins reactions. Game 7…… you know what time it is @NHLBruins ! LFG baby!!!! Let’s Goooo B’s! Pour it on now! The Bruins went on to win the game by a final score of 5-1 to advance to the second round against the Columbus Blue Jackets. Turn up then @NHLBruins !! The Bruins series win marked the eighth consecutive playoff round victory for a Boston sports team dating back to the Red Sox 2018 ALDS last fall. Who has it better than Boston? This entry was posted in Patriots Twitter, Patriots Video and tagged James White, Julian Edelman, Kyle Van Noy, Tom Brady on April 24, 2019 by Robert Alvarez. Trey Flowers tenure as a New England Patriot came to an end on Monday. The 2015 fourth round draft pick out of the University of Arkansas agreed to a five-year, $90 million contract with the Detroit Lions. The signing reunites Flowers with his former defensive coordinator Matt Patricia. Flowers played an integral role on defense during the Patriots run to three consecutive Super Bowls and two championships. In 46 career regular season games, Flowers logged 21 sacks and 164 total tackles. Over nine career playoff games, Flowers tallied 5 1/2 sacks and 39 total tackles. On Monday afternoon, Flowers took to his Instagram and shared a heartfelt goodbye message to the Patriots and their fans. “For the memories, for the lessons, for the relationships…for the opportunity..I thank you!! #ForeverGrateful”, Flowers wrote below a photograph from the Championship parade. A few teammates tweeted out some congratulatory messages when the news broke. @III_Flowers CONGRATS my guy well deserved!!! 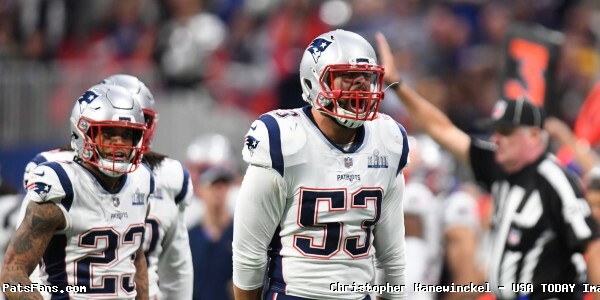 This entry was posted in 2019 Patriots Offseason, 2019 Patriots offseason, Patriots News, Patriots Twitter, Super Bowl LIII and tagged Devin McCourty, Kyle Van Noy, Trey Flowers on March 12, 2019 by Robert Alvarez. 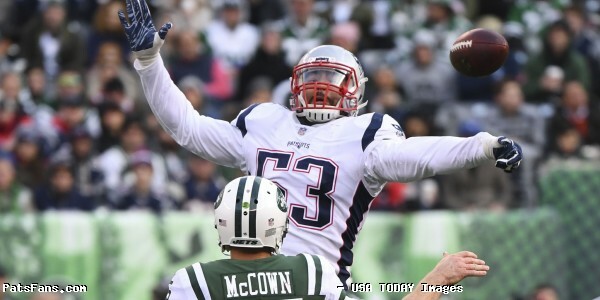 New England Patriots linebacker Kyle Van Noy continues to live his best life post Super Bowl glory. On Tuesday, Van Noy was a guest on Barstool Sports’ “One Bite” pizza review show with founder Dave Portnoy. Check out Van Noy’s take on a New York slice along with a bonus roasting of NFL Commissioner Roger Goodell. 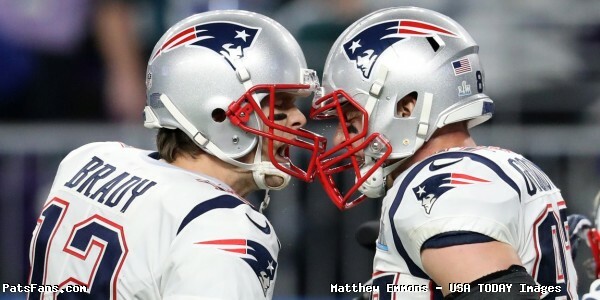 This entry was posted in Patriots Twitter, Patriots Video, Super Bowl LIII and tagged Barstool Sports, Kyle Van Noy on February 17, 2019 by Robert Alvarez. Good morning, here is your Sunday Patriots news 02-17 and AFC East Notes. Van Noy On Media Roundrobin: Patriots LB Kyle Van Noy has been seemingly everywhere lately in the media circles after the Super Bowl. And why not? After an outstanding postseason, the well-spoken, likable linebacker is enjoying his time in the spotlight. One of the best spots he did was on the NFL Network show, “Good Morning Football” where he and Nate Burleson spoke about how the Patriots found a way to use his talents and put him in the best position to succeed. Speaking of Burleson, he did an earlier segment right after the Super Bowl on how well Bill Belichick and the Patriots build a roster from top to bottom. Which of course will not sit well with the “GM Bill is hurting Coach Bill” crowd. Burleson said, “It’s not about where you are, it’s about where you’re headed.” Really good stuff there. Brian Hoyer and Danny Etling are the backups and while Hoyer got and deserved huge kudos for running the scout teams of the opponents to prepare the team for the postseason games, neither of those two could step in and win much of anything in case of a Brady injury…or another league-sanctioned vacation over cold weather. The team is in very good shape here, with Sony Michel, James White, Rex Burkhead, and fullback James Develin in the mix. The team had Jeremy Hill in last year and he looked really good all summer before tearing an ACL in Week 1. He’d be a welcome sight if the team brings him back for depth. The Patriots currently have Julian Edelman and the unproven Braxton Berrios signed for the 2019 season so far and this position is critical in terms of need. Josh Gordon is a restricted free agent, but the team can’t be reliant on him getting back to the team anytime soon. Chris Hogan, Cordarrelle Patterson, and Phillip Dorsett are all free agents. 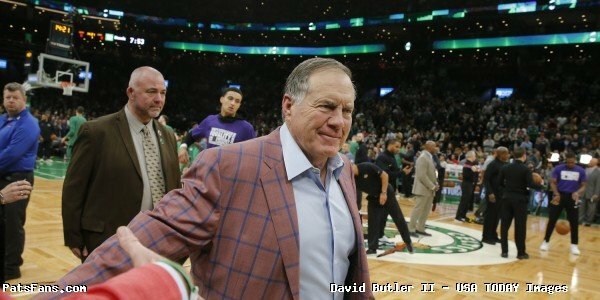 Even if all three are resigned, which is doubtful, look for the Patriots to address this position heavily in both free agency and the draft. With the Rob Gronkowski retirement rumors swirling, the team really needs to add serious depth here this spring whether Gronk returns or not. Dwayne Allen is a terrific blocker but at $7 million with virtually no offensive output in the passing game? They have some intriguing younger guys in Ryan Izzo and Stephen Anderson but like Jacob Hollister who can’t stay healthy, they’re all unproven. The team needs to address this position in either free agency or the draft. The Patriots offensive line is stacked in the interior with three excellent starters (David Andrews, Shaq Mason, and Joe Thuney) and depth behind them. RT Marcus Cannon returns while LT Trent Brown and swing tackle LaAdrian Waddle are free agents. If Brown bolts in free agency, top 2018 draft pick Isaiah Wynn is waiting in the wings which would go a long way in replacing Brown, who never played LT until last year. Waddle’s status is probably dependent on Brown’s. If he walks, then they’ll probably want to sign him to be the swing tackle again. If both decide to bolt for greener pastures, then the need goes up. The top free agent for the team is Trey Flowers, he’s also the best front seven player on the defense. 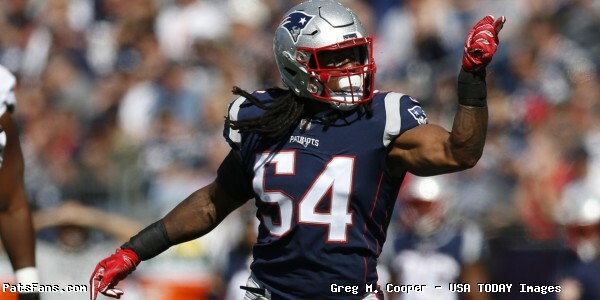 If they can’t ink him to a new deal before free agency, they hopefully have an agreement with him to let him find a deal and give the team a chance to match, like what they did with Dont’a Hightower. Behind Flowers is Dietrich Wise Jr., Adrian Clayborn, Keionta Davis, Derek Rivers, and Ufomba Kamalu. Which adds up to a lot of depth, but not a lot of proven play-making ability there. Resigning Flowers is paramount first. If they don’t do that then they’ll need to sign a free agent as well as address this in the spring. Both Danny Shelton and Malcom Brown are free agents. Both played well in the playoffs and having those big bodies that can stuff the run was a key reason the defense was so good in the final five games (two regular season, three playoff). And why it is critical to address this need this spring. Lawrence Guy and Adam Butler return but the team needs to decide if either Brown or Shelton returns and then address this position in both the draft and free agency. My, my what a difference a few months makes. 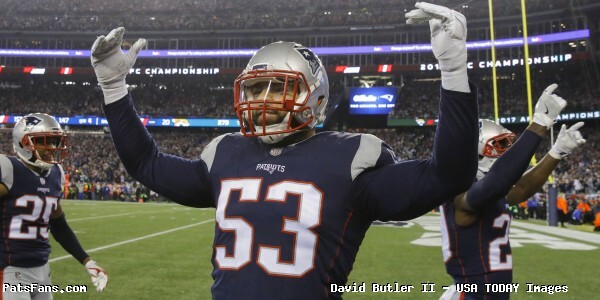 Back in the fall, we were lamenting the lack of an athletic linebacker but after watching the play of Hightower and Kyle Van Noy during the postseason, that need doesn’t seem as glaring right now. Elandon Roberts played well in short stretches as well. The team needs to bring back John Simon in free agency, he played a valuable role and is versatile, something the team likes. Christian Sam spent the season on IR with the Foxboro Flu and is that athletic guy. The Patriots are young and deep at cornerback. Stephon Gilmore is outstanding and behind him is J.C. Jackson, Keion Crossen, and Duke Dawson, all young players. Jason McCourty gave the team a solid veteran presence and may return. Jonathan Jones is a restricted free agent. 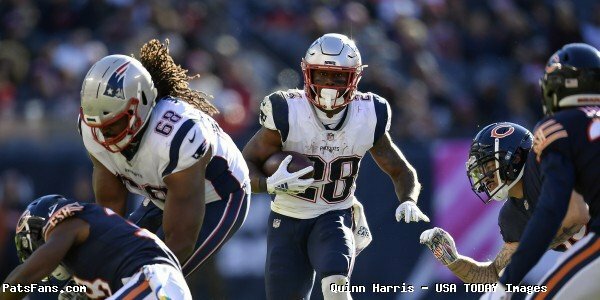 At safety, Pat Chung, Devin McCourty, and Duron Harmon are all under contract but McCourty was flirting with retirement. He and Chung are 32 so their replacements, while not imminent this year, need to be addressed at some point in the future. The team signed Obi Melifonwu who is a physical freak and the feeling is here, that the Patriots will find some way to utilize his physical skills. The Pats have both kickers entering free agency. Stephen Gostkowski has been with the team since 2006 when Adam Vinatieri left. Ryan Allen has been outstanding with his directional punting. Resigning them is critical. Matthew Slater, Nate Ebner, Brandon King, and Joe Cardona all return. Two other special teamers that need to be resigned are Albert McClellan and Ramon Humber. With free agency getting ready to heat up, the Patriots have a slew of free agents that they’ll ultimately have to make a decision on whether or not to try to resign. But barring that for a minute, here is a list of guys, we’d really like to see the Patriots make a stab at bringing in this spring. Wide Receivers: There are a couple of names to keep an eye on this spring. First among them is Adam Humphries from the Bucs. Humphries has been a favorite of nearly everyone in the New England area because one look at his game and you can see Patriots written all over it. Just 26, Humphries had career highs in receptions, (76), yards (816) and touchdowns (5). He shows fantastic quickness off the line and moving horizontally and is very difficult to stop when running those routes underneath coverage and shallow crosses. He has the excellent ability to find holes in zone coverages. He’d seamlessly fit into the Danny Amendola role here in New England from Day 1. Tyrell Williams from the Chargers, in our opinion, would be a great fit for the Patriots offense. Williams has great size, (6’4, 210) and has very good speed to go along with it. He’s been used as a deep threat in the Chargers offense, but the feeling here is that he could do much more than that with the Patriots and would offer that big body red zone target as well as a player that opponents would have to respect deep. Golden Tate is long been rumored as someone the Patriots have coveted but his recent comments make it seem like he is wanting to stay in Philly although he had very limited chemistry with Nick Foles and none with Carson Wentz. Defensive Ends: While we’d rather have Trey Flowers return in 2019, there isn’t a guarantee that happens. One sleeper to keep an eye on is Arizona Cardinal Markus Golden. In 2016 Golden had 12.5 sacks, with four forced fumbles but an ACL tear in 2017 set him back. While not completely healthy in 2018, his numbers dipped to just 30 tackles and 2.5 sacks. Golden may be available for a one-year prove it type deal with the option to play for a winner and the potential to increase his net worth. He seems to expendable in Arizona with the Cards signing former Falcon Brooks Reed. Others such as Brandon Graham, Jadeveon Clowney, Frank Clark et al will likely be too expensive for the Patriots but we’ll have to see how the market plays out. One other player who can play the edge or in the interior depending on the alignment is Henry Anderson of the Jets. One name to watch is tight end Jesse James of the Steelers. Known primarily for the “catch that wasn’t”, he’s second on the depth chart behind Vance McDonald and a had modest season with 30 catches for 423 yards and a pair of scores. However, playing on a team the past three years with Antonio Brown, JuJu Smith-Schuster, LaVeon Bell and James Conner, it doesn’t mean he’s not a viable receiver. James is a very good blocker who was credited in 2018 without missing one according to Sports Info Solution. In describing James, the Athletic’s Mark Kaboly tweeted, “A 100 percent no-nonsense, hard-working, drama-free tough guy who refuses to miss practice and is an all-around great human. You win with a locker room full of those guys.” After describing the Steelers as the “Kardashians” last season, perhaps James is looking for a fresh start elsewhere. Certain things occasionally will slip thru the cracks when given the sheer volume of information that goes thru the Patriots timeline every day. And then there’s what transpired this week. Karen Gueregian of the Boston Herald wrote a piece that jumped off the page when she spoke with five different voting members of the Pro Football Hall of Fame (there are 48) about Rob Gronkowski. And the question she posed was, “if Gronkowski retired today would be a first-ballot Hall of Famer. The short answer from the voters was no. While they all agreed that “Gronkowski will eventually get in”, these five voters pointed to the lack of stats for Gronkowski as compared to players who are already in, because he’s played substantially shorter than players Tony Gonzalez (17 seasons) and Shannon Sharpe (14), there his catches and yardage numbers are naturally much lower. Mike Chappel from Fox 59 in Indianapolis had this to say, “Everybody wants guys to be first-ballot guys. And they make it sound like they are no-brainers. The issue with him will be the brevity of his career,” he said. 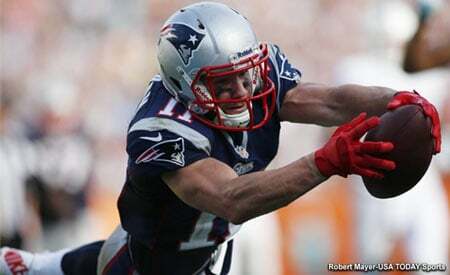 Gronkowski 16 games, 81 receptions, 1163 yards, 12 touchdowns. Looking at the career records of Jason Witten, Antonio Gates, Dallas Clark, and Tony Gonzalez, they played a total of 39 playoff games and totaled 11 combined touchdowns in the postseason. Isn’t that the definition of a “difference maker”? The Buffalo Bills have released tight end Charles Clay. He had one year remaining on the five-year contract he signed before the 2015 NFL season. The Bills will save an estimated $4.5 million on their salary cap where Clay would have counted over 9 million against the cap in 2019. Playing with a rookie QB, Clay had a down year in 2018 catching only 21 passes for 184 yards. The handwriting was on the wall when Clay was a healthy scratch for the Week 16 loss in New England. Now the Bills will be revamping the position and trying to get 2nd-year player Jason Croom more involved with the offense. Croom had just 16 receptions as a rookie in 2018. The Bills will definitely be looking to add more depth this spring. The Miami Dolphins have a totally revamped coaching staff, but a lot of them come from New England and they are planning on bringing a Patriot-esque view of how they approach to game planning and coaching. So, the Dolphins offense should look much different in 2019. But first, they need to decide who their QB is going to be. The New York Jets are expected to switch to a one-gap attacking style of defense under Gregg Williams which is the style he’s always run and the Jets are hoping for bigger and better things from their defensive leader Leonard Williams. They believe that playing Williams as a 3-technique with a defensive end on his outside shoulder. This way they hope it will free up more one-on-one matchups inside where Williams can create some mismatches. But perhaps the biggest beneficiary to Williams’ system is safety Jamal Adams. In Williams’ style of defense, he needs a safety who can be versatile, play over the tight end and who could match up with a running back. Williams will take advantage of his aggressive style of play as well. 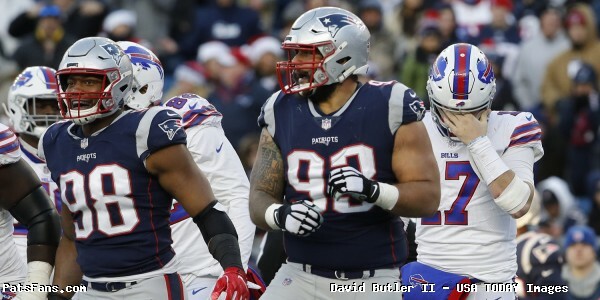 This entry was posted in 2019 Patriots offseason, NFL Commentary, NFL News, Patriots Commentary, Patriots News, Patriots Rumors, Patriots Twitter and tagged Bill Belichick, Buffalo Bills, Kyle Van Noy, Miami Dolphins, New England Patriots, New York Jets, Patriots free agents, Rob Gronkowski, Tom Brady, Trent Brown, Trey Flowers on February 17, 2019 by Steve Balestrieri. The Super Bowl championship victory tour took a few members of the New England Patriots to Thursday nights game between the Boston Celtics and Los Angeles Lakers. Before the start of the second quarter, the Celtics shared a video tribute in honor of the Patriots. The tribute featured appearances by some players sitting courtside on the TD Garden jumbotron. The McCourty Twins. Duron Harmon, Trent Brown, Rex Burkead, Trey Flowers, Kyle Van Noy, Elandon Roberts, Sony Michel and Head Coach Bill Belichick were all shown on screen to the fans. As an added bonus, Barstool sports founder Dave Portnoy was also shown sporting his infamous Roger Goodell clown shirt. #SuperBowl CHAMPS in the house. After the game, the Los Angeles Lakers Lebron James met with Belichick to congratulate him on his latest championship. Unfortunately for the hometown fans, Los Angeles finally earned a win against a Boston sports team, with the Lakers defeating the Celtics in heartbreaking fashion at the buzzer in a 129-128 victory. This entry was posted in Patriots Twitter, Patriots Video, Super Bowl LIII and tagged Bill Belichick, Devin McCourty, Duron Harmon, Elandon Roberts, Jason McCourty, Kyle Van Noy, Rex Burkhead, Sony Michel, Trent Brown, Trey Flowers on February 9, 2019 by Robert Alvarez.